We create situations and atmospheres; develop the scenes around each five of us as lead characters; the folk dancer, the tough rock guy, two inseparable brothers or “crystal silence” dancer. In subtleties between such Easter European traditions and Western cultural references, we continue to create a playing field on stage, where dancing reigns free and in which a special kind of physical theatricality can emerge. Emotions, imagination, shared history and humor is all taking part in our amalgam of short dance vignettes. Music is vital to our stage reality. Simon, as a careful tailor-kapelmeister, is instantly knitting his colorful music to a perfect fit for each dance scene.We sing! Right from the center of Slovakia, powerful and sensitive men voices sing about love and nature in folk polyphonic harmonies. Journey Home is a voyage further into Les SlovaKs universe. 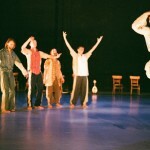 In the second creation “Journey Home”, which was premiered in November 2009 in Brussels, Les Slovaks continue working as a collective, developing the common skill in composing while performing. 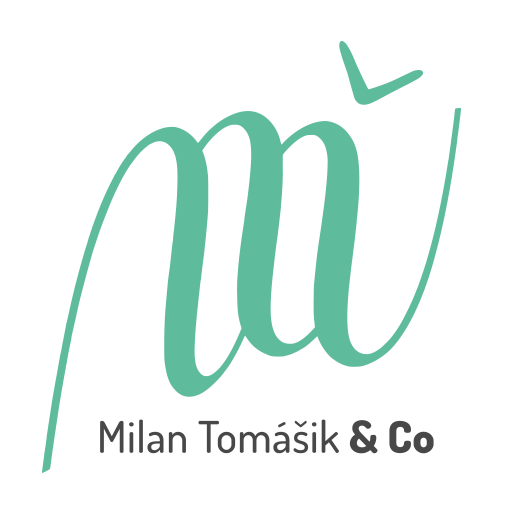 Regarding each member as an irreplaceable asset to the whole, Les SlovaKs create a polyphonic dance that brings each dancer to the fore as a soloist and an instrumental part of a dynamic and familial collective. 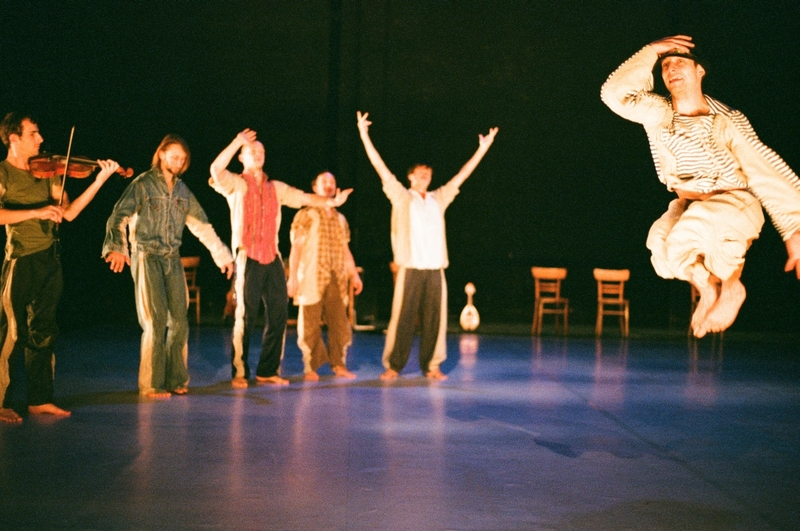 The characteristic feature in “Journey Home” is the direct inspiration and the use of Slovak folk dance, traditional polyphonic singing and playing with “Slovak sensitivity” and humor while performing. 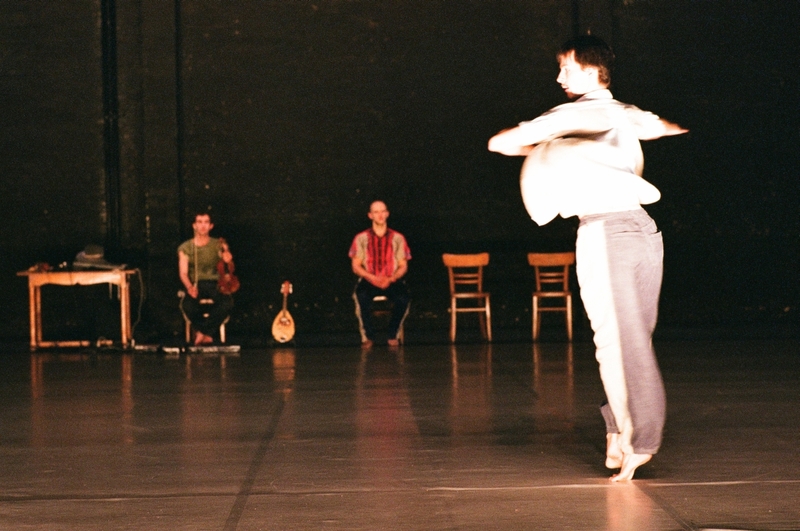 By making the basic principles of the individual and the group a dynamic part of their compositional system, Les SlovaKs’ work becomes utterly transparent and the audience is invited to witness the humor in disagreement, the momentum of consensus, and the rigor of personal investment that constitute the trial and error of creating a performance together.